Zibo Mingcheng Economic And Trade Co., Ltd.
1.Q:Are you manufacturer9 A:Yes,we have been in glass products industry for more than 10 years. 3.Q:How do you deal with the broken products9 A:Glass product is fragile. And for some products in stock,small orders are acceptable. 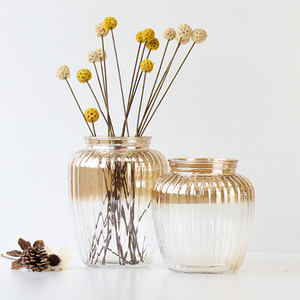 whole decorative flower glass vase amber glass vase,,Wide mouth European style glass vase. Zibo Shanglin Culture Technology Co., Ltd.
Rizhaoshi Fulaishan Glass Co., Ltd.
Large quantity order can be shipped out by sea . However , large order can be given a discount ! If you have any new design , pleae feel free to contact us . 3.Price:0.5usd -20usd per piece,depends on the shapes/size/quantity. 6.Promise: Any broken pieces,we will deduct the value to your next order. 5. About order Welcome to order online to use Alibaba Trade Assurance. This is ideal for holding large floral picks, plumes and decorative tree branches in place, as well as long, dangling sprays &ndash; so your arrangement can hold its form. this vase can go on tables and it makes a spectacular centerpiece or background display on buffet, dessert and gift tables. 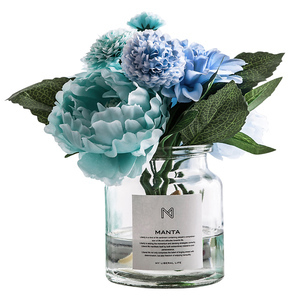 You could also set the vase on a mirror and up light with an LED disc, hang fairy string lights through the center or use a mirror on top of the vase to hold an LED flameless candle or floral arrangement. 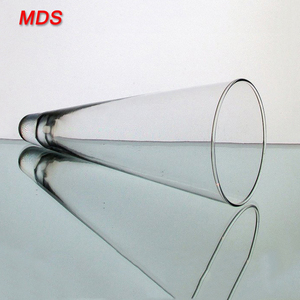 Xuzhou Xiahua Glass Products Co., Ltd.
Q: Is there any other size for this type9 A: We can design as customer's requirement. Q: What kind of package for this jar9 A: In general, we use carton or pallet package. For mo r e information of any kind of our products, please feel free to contact us directly. 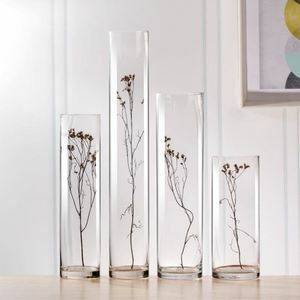 This fine glass flower vase incredible quality announces itself upon first glance. It will add sparkle and elegant to your reception table or dessert bar decor. We sincerely hope to enter business with the clients from all over the world. 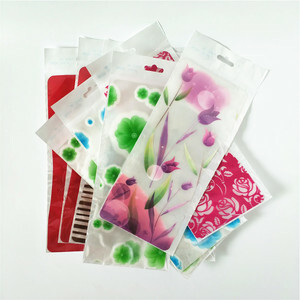 Qingdao Ritz Glass Decor Co., Ltd. SIZE / PCS G.W. SIZE / PCS G.W. SIZE / PCS G.W. 1. each piece will be packed in one Polybag with polyfroam , then in an export standard carton . We served so much 4000 clients all over the world with 10 years on foreign trade,and gained a reputation for excellent service, attention to detail and reliability. Most importantly we want to make sure this is as straightforward as possible so we have a brilliant team on hand to ensure that your experience with us is seamless, straightforward and reliable. 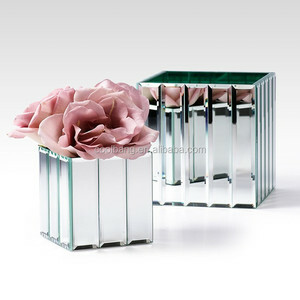 plastic vases for wedding Material Acrylic / Plexiglas / Plastic. It is made of environment-friendly acrylic material MOQ Please order you need We do not require minimum order quantity Production leadtime Generally 7-25 days according to different order quantity Sample Generally 2~3 working days Please make enquiry for more details about sample Logo Silk-screen, laser engraving, digital printing, etc. Please send us your artwork before make quotation Trade term EXW/FOB/CIF/ (LC,paypal,T/T etc) 30% deposit ,and the balance will be paid by T/T before shipment Some pictures for your reference : Machine support: automatic raw material cutting machine, high-precision laser cutting machine,CNC machine, drilling machine ,laser marking machine,printing machine,sand-blasting machine, diamond polishing machine, Heat bending machine ,mold machine and so on. Nantong Chenyuan International Trade Co., Ltd.
3. The board material we use 9mm thickness MDF, paste with excellent glue. Our factory has been audited by many big retailers and importers from UK and USA. We have our internal QC to check from material, inline, pre-assembly, packaging. &raquo; Your inquiry related to our products or prices will be replied in 12hrs. &raquo; Well-trained and experienced staffs to answer all your enquires. &raquo; Protection of your sales area, ideas of design and all your private information. 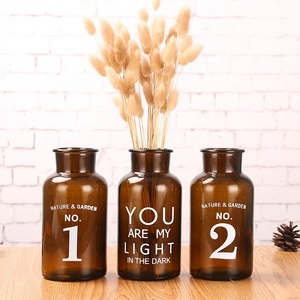 Alibaba.com offers 231,896 vase products. About 39% of these are flower pots & planters, 20% are glass & crystal vases, and 8% are ceramic & porcelain vases. 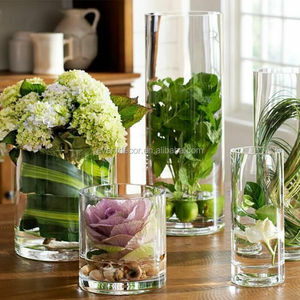 A wide variety of vase options are available to you, such as glass, bamboo, and ceramic. You can also choose from red, blue. As well as from free samples, paid samples. There are 222,439 vase suppliers, mainly located in Asia. The top supplying countries are China (Mainland), India, and Vietnam, which supply 88%, 7%, and 2% of vase respectively. 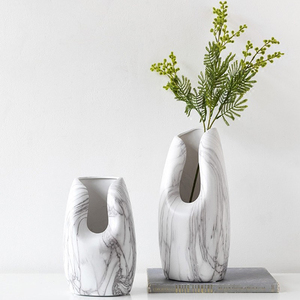 Vase products are most popular in North America, Western Europe, and South America. You can ensure product safety by selecting from certified suppliers, including 30,493 with Other, 20,630 with ISO9001, and 11,350 with BSCI certification.